Doing research is very fulfilling; combining intellectual challenges with contributing to the future. Working at TU/e adds to that the interaction with bright young people. It’s a great job! 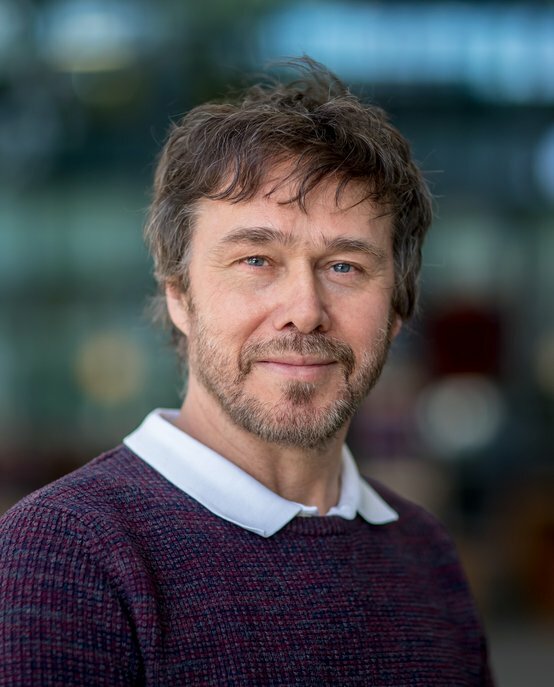 Jos van der Tol is Associate Professor in the Photonic Integration group of the Electrical Engineering department at TU/e. His research interests include opto-electronic integration, polarization issues, photonic membranes and photonic crystals. His goal is to find and demonstrate new ideas that lead to improved technologies in fields like telecom, datacom and sensing. Van der Tol’s ambitions include upscaling photonic integrated chips, both in functionality and in integration level. Of special interest is adding magneto-optic devices to the photonic integrated circuits. This would present a breakthrough, making functions such as optical isolators and circulators finally available. This is the subject of a cooperation with the Physics of Nanostructures group in the TU/e’s Applied Physics department. A second important ambition Van der Tol has is the integration of electronic functionality with the photonic ICs. This makes energy-efficient and high-frequency solutions possible, especially for telecom and datacom applications. In this area, Van der Tol leads a European project, WIPE, in which BiCMOS electronics are intimately connected to photonic circuits on indium phosphide to obtain high-speed transceivers. Van der Tol is the author and co-author of over 200 publications in the fields of integrated optics and optical networks and holds 26 patent applications. Jos van der Tol received his PhD degree in physics from the University of Leiden in 1985. Afterwards, he joined KPN Research, where he became involved in research into integrated optical components for use in telecommunication networks. His research interests in this field have covered modeling of wave guides and design and fabrication of electro-optical devices on lithium niobate. In addition, he worked on guided wave components on III–V semiconductor materials. Van der Tol has also been active in the field of optical networks, focusing on survivability, introduction scenarios and management issues. Since July 1999, Van der Tol works at TU/e.